Our ladies met a determined bunch of girls from Clonmel Celtic on June 15, 2016 who were on fire from the start. A quick goal from Celtic put Cahir on the chase. Unfortunately the Clonmel girls who were on the money kept the pace and skill to ensure Cahir wouldn't get a look in tonight. Edith Carroll scored a cracker of a goal which was small consolation to lift spirits. Result 6-1. We will keep our heads up and move on. Well done Celtic on a great performance. We were unlucky on Sunday everyone showed great fighting spirit to force the game to extra time and were unlucky to concede a goal in the last minute of extra time. Pity it didn't go to penalties. Training tomorrow Wednesday night at 7pm at the Park. The Park Ladies lost the shield final 3-0 on Sunday December 16. Thanks to everyone for such a great effort this year. We finished 2nd in the top division in Tipp this year which was a great achievement!! Thanks to Eamonn, John, Taylor and Linda for all their effort all year. 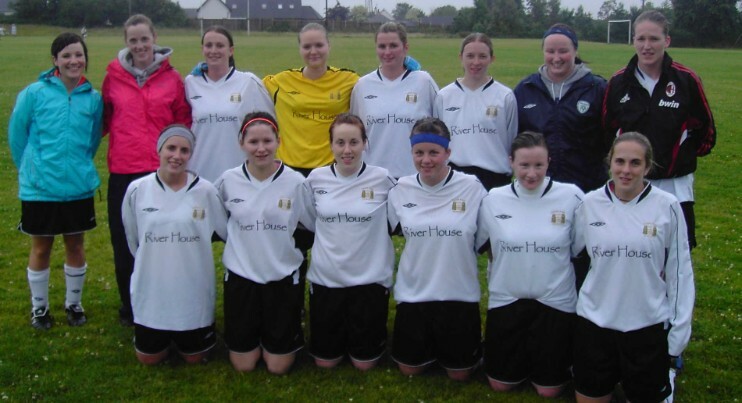 Congratulations to Cahir Park Ladies who won 2-0 on Sunday 25th September. The new league CHAMPIONS are promoted to County Tipperary League Division One. Team: Anija Guardzinka, Claire Carroll, Elaine Devereaux, Sinead O'Donnell, Ann-Marie Ryan, Grainne Wade, Claire Ryan, Jenny Grant, Ciara Doheny, Vicki Shealy, Alison Lonergan. On Friday June 10 2011, Cahir Park took on arch -rivals Clerihan in what turned out to be a very even contest at a cold Duneske. Cahir were well on top for the first half and went ahead after 16 mins. The lead was doubled after a fine individual run on 32 mins. Immediately after the visitors pulled one back when through one-on-one with home goalie Stephanie Elliott. Minutes inside the second half, Clerihan were back in the game with a equalizer bundled over the line. The Park's sharp finishing eluded them in the second 45 and although having tried hard, the third just would not come, honours even at game end. They now play Birdhill or Cashel in the shield semi final. 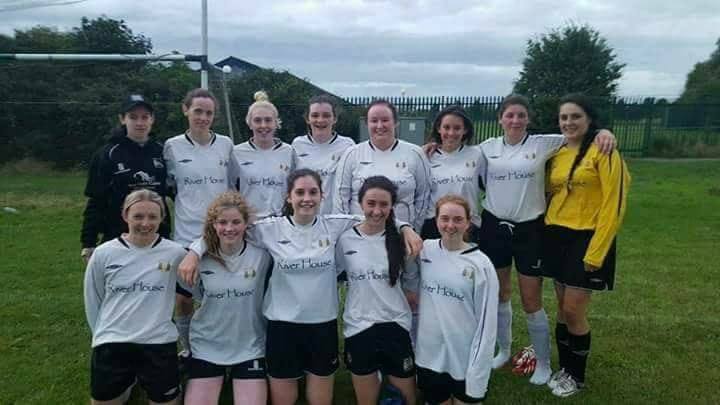 Best of luck girls..
On Sunday 25th July Cahir were at home to Blackcastle in a top of the table clincher. Both teams fought hard in this encounter and it was all to play for. Blackcastle found the net first and Cahir had to fight back from behind. Chances were there for both sides but defenders were kept on their toes at both ends of the field. Cahir fought back with a great combination from Klaudia Zakizeuska and Clara Doheny getting past defenders before Clara Doheny hit the net. Both teams fought hard to the end but Blackcastle were to come out on top with the final score, Cahir 1 Blackcastle 3. Jenny Grant was player of the match. Team: Ania Gurdieazyck, Ann Marie Noonan, Miriam Hally, Jenny Grant, Leanne Barrett, Edith Carroll, Siobhan Barrett, Grainne Wade, Clara Doheny, Klaudia Zakizeuska. Subs: Ann Marie Ryan, Bronagh Higgins, Stephanie Elliott. A performance from the girls full of heart and commitment saw them come back to within a goal of the well-organized Co. Limerick team who looked like a well-oiled goal machine based on what was to be seen in the opening half. However three second - half goals from Claire Ryan, Edith Carroll and a header from Alison Lonergan, just on the full-time whistle, brought the Park - playing a far better brand of football in the second 45 - to within a whisker of forcing extra-time against an industrious Rathkeakle side who march on to the third round. Thursday night had Borrisoleigh come to Duneske for a second game in three days.. Borrisoleigh gave a great game and never dropped the heads after going into an early lead. Cahir pulled back and went on to win the game 8-2. Cahir Park Ladies played The Commons on Tuesday 22nd June in an exciting match. Both teams fought hard from the start. Cahir got the lead from a free in the second half which settled them into the game. A second goal was to hit the net for the girls. The Commons never gave up and got a goal back which put the pressure back on Cahir. Ania Gurdiezyckia pulled off a brilliant save minutes before the end of the game to ensure victory for the Cahir girls. Squad: Ania Gurdiezyckia, Julie McMahon, Lisa Swords, Jennifer Grant, Elaine Deveraux, Catriona Nagle, Alison Lonergan, Claire Ryan, Edith Carroll, Clara Doheny, Vicky Sheely, Ann Marie Ryan, Grainne Wade, Klaudia Zabreczyck, Stephanie Elliott. Congrats girls. 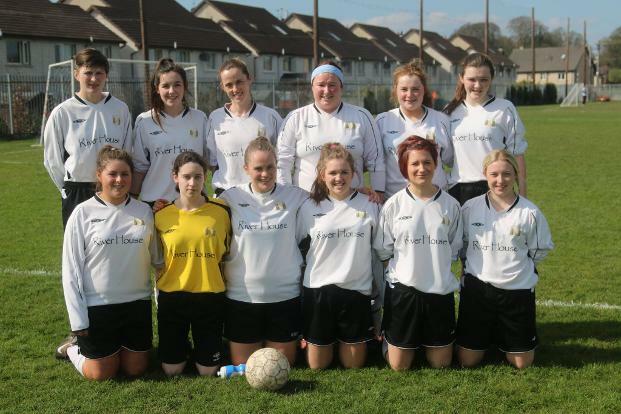 Cahir Park ladies came away with a good victory over Clerihan played in the Park. The new clubhouse facilities were appreciated by both teams. Cahir started well and Alison Lonergan found the net after fourteen minutes to get Cahir off to a great start. The girls played well. A penalty was awarded to Cahir before half time and Alison stepped up for the pressure kick and hit the back of the net for a second time. The second half saw a few tactical changes which worked well. Alison Lonergan continued her form and scored two more goals with the final result four nil. Clara Doheny, Grainne Barry and Edith Carroll were unlucky with chances and a great team effort was given all round. Well done to the girls, Eamon and Benny. Cahir travelled to Kilmacthomas for the Munster Cup clash with Kilmacthomas. It was a tight game for both teams as we were evenly matched. There was a strong wind blowing adding an extra dimension to the game. Both teams fought hard but Cahir got the upper hand shortly before half time when Claire Ryan found the back of the net. The second half was nail-biting with both teams battling the windy conditions. Great efforts were made on both sides and especially Edith Carroll who was unlucky not to score a second. The final whistle was very welcome to end a great display from Cahir. Congratulations to all girls involved.